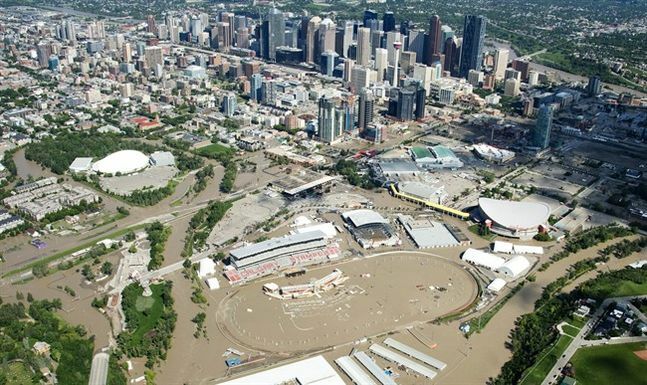 It has been a dramatic week for us here in Calgary, and we sympathize with those affected by the flooding in Calgary and Southern Alberta. There remains much to do but things are returning to normal at an astounding pace. We wanted to update everyone on our server status, given our location in the heart of downtown Calgary. We have been without power since Saturday and expect power to return today – Saturday – A week without power. I am pleased to say we were prepared and have managed the situation without disruption to your on line services. We are proud to be of service to our clients here in Calgary and around the world, by providing what we think is one of the finest internet hosting environments you will find anywhere. We think your experience this week proves it! We lost power briefly last Friday morning when they cut power to downtown. By briefly I mean a few seconds. One of our two power services went out and It was enough to cause servers to reboot, which they did. Our Data Centre battery backup and diesel generator have been supplying power since then. Current information from Enmax is that power should be restored in the area tomorrow (Saturday) some time. Depending what caused the power bump last Friday, we might experience a similar one when the power comes on but I suspect that won’t happen. The building where the data centre is located has had no flooding, no water at all in the building. It is only the proximity to the actual flood zone (both power grid wise and spatially) that required the power cut. There were a couple of incidents at the height of the flooding when network connectivity into the downtown became problematic but our connection upstream itself didn’t go out. Those usually only lasted a few minutes and were likely due to network links going down due to flooding – it usually takes a few minutes for things to stabilize when a major link goes down. I know of at least two cases when I couldn’t reach our equipment but it was online. That could as easily have been issues on other network as anything. In fact, the night before the flooding started (when the rain was just getting started), we couldn’t reach most of the internet from Shaw for a few hours so it’s likely Shaw had some trouble.